Hi friends! I have been really busy lately and even though I have lots of swatches done, I haven't had time to edit them and post anything lately :( But I thought I'd pop in and put up a fun little post on something different today while I had a minute. I used to be a YouTube junkie, like watched at least five videos a day if not more. I love YouTube for teaching me how to apply makeup, get great product recommendations, for helping me tame my crazy curly hair, and for just lots of entertainment! I stopped watching almost altogether for a few years but this past year I have gotten back into it in a big way. Nail vloggers have become more prevalent on YT lately and I've discovered some awesome ladies that I love to watch. I wanted to share a few of my favorite channels with you in case you are interested in watching videos about nails too! Next my brain goes automatically to MissHollyBerries. This is a girl that I have come to watch so much and interact so much with on social media that I really consider her a friend. She's very genuine and beautiful and she loves nail polish! I just adore her. I find her really easy to watch, like I'm sitting down to chat with a girlfriend. 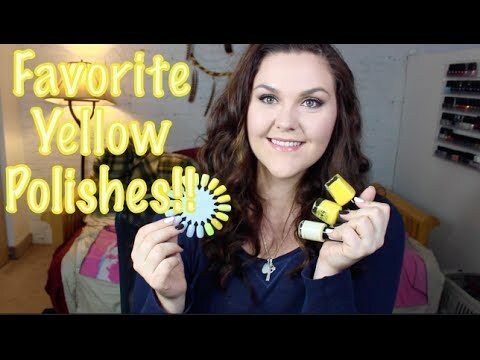 A great video of hers that I really like is her Favorite Yellow Nail Polishes of ALL TIME! !, it is part of a series she does of all her favorite polishes in color categories, rainbow order (ROY G BIV). She's so great! A gal I learned about from Holly is JessFACE90. She has been making beauty videos for a long time even though I just discovered her. She has some really awesome live swatch videos that I like a lot, it is so helpful to see how a polish acts when applied before you buy it! Blogs are great for seeing how they turn out and telling you how they applied, but it's a great concept to really see it put on for yourself. A great example is her Zoya Magical Pixie Dust Summer 2014 Swatch and Review video. Total Polish Junkie is a gal that I just barely found on YT and have really enjoyed watching her videos. She has a great point of view and I love hearing what she has to say about polish. I find her very thorough in her reviews/opinions. 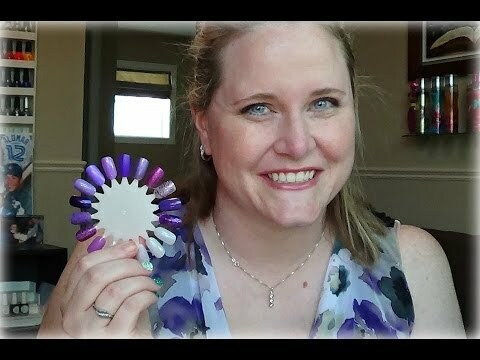 An example of a great review video she has done is the Nicole by OPI Roughles Collection Review & Swatches. I can't wait to see more from her! Another channel I discovered from Holly is Lindsay Does Nails. She's a Canadian gal so it's interesting to hear the differences they have with availability and such up there. She's doing a series right now where she's showing her entire collection and I love watching those videos, to see what colors we have in common or what ones I need to get. 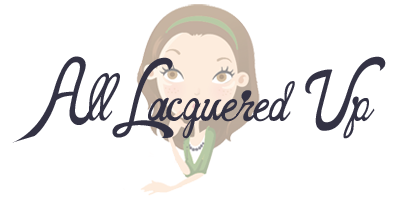 She actually introduced me to a new indie brand that I have come to love, Loaded Lacquer; here is the video link to her Loaded Lacquer collection video. Next is Zenorah. This chick is so awesome. She is from Trinidad & Tobago and her accent is seriously so beautiful (she lives in Canada now). Plus she's just a knockout stunner. I first heard of her when she put out a gutsy video on the controversy regarding a well known nail "guru" (I hate that word haha) that is notorious for copying other people's nail art designs and claiming they are her own. I don't really want to go into that because I'll just get mad, but if you're interested I'm sure you could find out more easily. She is just so sweet and nice and I love her nails. 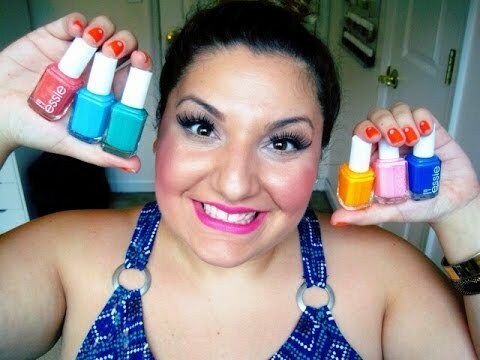 One of her recent videos that I really like is her Top 15 Essie Nail Polishes video. Phoebe Moon is the most recent person I've discovered on YouTube that I really like. She posts a ton of videos, like multiple uploads per week, and she usually includes live swatches, which I find so helpful. I found her by chance one day looking for videos about the OPI Coca-Cola collection and proceeded to immediately watch all her videos one right after the other haha! 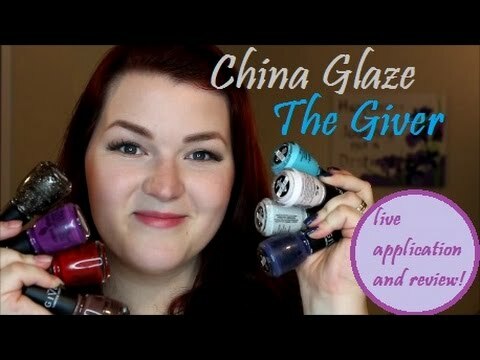 Check out her China Glaze The Giver Live Application and Review video on the new CG collection for the movie The Giver. I saw her video on them before I even heard about this collection! She also does awesome piano versions of popular songs for the background of her videos. LifeinPolish is run by Dani who is a New Jersey/New York singer and actress who just happens to love polish too! She is a legit star, she played Tracy Turnblad in the national tour of Hairspray in 2010. She is fun to watch because she's so excited about polish, I love her energy. 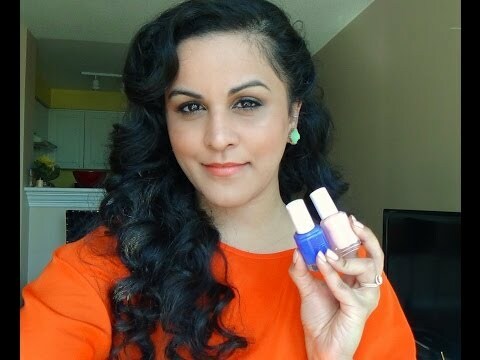 You should watch her Essie Summer Polish Favorites video. And I have to mention my pal and Nail Blogger Queen, Michelle of All Lacquered Up. She has just started making videos again and they're so good! I love her live swatches. She did a great video on the Essie Summer Neons that you definitely need to check out. I bow to her, she is seriously the top of the top. Back in the day I made a few YT videos, mostly just of slideshows of my collection swatches set to music. One day maybe I might venture into face-to-face vlogs or reviews but no plans for that right now. I'm content to sit back and watch these awesome ladies do their thing :) Do you watch any of these gals? Are there any other awesome nail video creators that you love to watch that I didn't mention? I'm always looking for more content! Take care, and I swear I'll be back soon with more swatches!